vault of the National Intelligence Agency (NIA), We learnt on Tuesday that the funds might have been taken into custody by the Office of the National Security Adviser (ONSA) for safekeeping. The $44 million, said to be the leftover of the intervention fund granted the agency by the Goodluck Jonathan administration, came under scrutiny following the suspension of the former Director-General, Ambassador Ayo Oke, last year. Oke got into trouble when the Economic and Financial Crimes Commission (EFCC) raided an Osborne Road, Ikoyi, Lagos apartment where another $43.5 million he had kept there was recovered by the anti-graft agency. Oke had claimed that the money belonged to the NIA and was being used to execute some operations of the agency in the South-west. However, the now controversial $44 million was also said to have been left by Oke in a vault in the agency’s headquarters in Abuja. Following the Vice-President Yemi Osinbajo-led enquiry into the discovery of the Ikoyi cash, Oke’s successor, Ambassador Mohammed Dawuda, who took over in an acting capacity, was reported to have met the $44 million in the vault and promptly intimated the ONSA on the existence of the money. Aware of the pressure on the acting DG to spend the money identified to be the leftover of the Ikoyi cash, the ONSA was reported to have instructed the agency to keep the funds intact, arguing that it had become an exhibit that might be needed upon the conclusion of the vice-president’s inquiry. A source close to the intelligence community told Us that in spite of the ONSA’s clear instruction, “powerful forces from above” continued to pressurise Dawuda to expend the money. The acting DG, according to the source, was, however, able to resist the pressure because of his strong connections arising from his long period of service and network within the agency. But following the appointment of Rufai Ahmed Abubakar as the substantive DG of the NIA last week by President Muhammadu Buhari, the source said the ONSA had to take custody of the funds in the vault for fear that the new helmsman might be pressurised to tamper with the money by the powerful forces. The ONSA, gathered, insisted that the money must be kept intact since the EFCC has persisted with its investigation of Oke and might need it as an exhibit in the event of his prosecution by the anti-graft agency. Despite efforts to safeguard the money, the House Tuesday passed a motion mandating its committee on National Security and Intelligence to investigate its removal from the NIA. It also charged the committee to look into issues surrounding the appointment of the agency’s new DG, Abubakar, which has been the subject of public debate. The resolution of the lower legislative chamber, which resumed plenary sitting Tuesday after its Christmas recess, followed a motion by Hon. Diri Douye (PDP, Bayelsa) on the need to investigate the movement of the funds and Abubakar’s appointment. 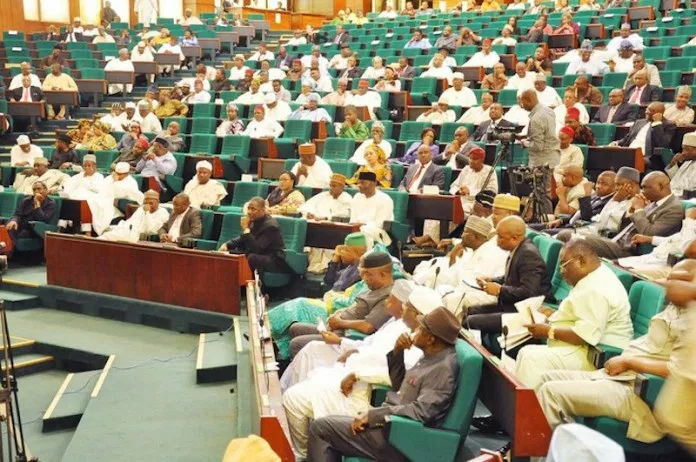 The House expressed concern that the agency had again been visited by another scandal, barely one year after the embarrassment of the Ikoyi cash haul and a few days after Abubakar’s appointment. Douye, in his motion, said the country was yet to recover from the shock of the Ikoyi safe house scandal involving $43.4 million, N23.2 million and £27,800, even as the report of the investigation was yet to be made public. He also expressed frustration that the controversy surrounding the appointment of the new DG as well as the cash scandals tend to taint “our national security and diminishes the reputation of the agency in the eyes of the Nigerian public and the international community”. Douye further expressed concern that the identity, nationality, citizenship and competence of Abubakar had become the subject of public speculation and controversy. He noted that as a highly revered institution, creating a bad image for the NIA could spell doom for the country. Also contributing to the motion, Hon. Toby Okechukwu (PDP, Enugu) said the development was an embarrassment to the country. He said it was further worrisome that reports of the Ikoyi probe, which were separately undertaken by both the executive and the House, were yet to be submitted.